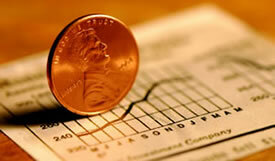 Orders picked up a bit across U.S. Mint collector products, according to the latest round of weekly sales figures. 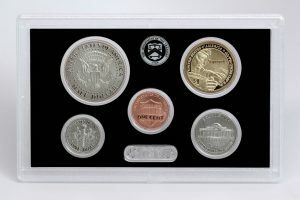 The broader gains were supported by the release of the Ellis Island Three-Coin Set. The United States Mint’s newest 5-ounce collectible was its best weekly seller. 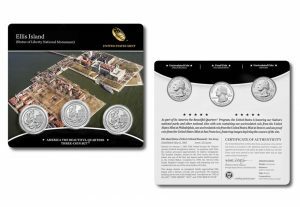 Celebrating the New Jersey portion of Ellis Island, the 3-inch coin launched on Sept. 7 for $149.95. 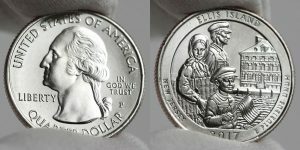 Early U.S. Mint sales figures are now available for quarters commemorating Ellis Island, the gateway from 1892 to 1954 for over 12 million immigrants to the United States. The latest round of U.S. Mint sales stats shows more downward adjustments for the proof Platinum Eagle and the Enhanced Uncirculated Coin Set. 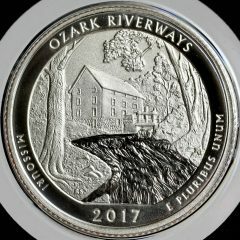 United States Mint sales of the 225th anniversary 2017 Enhanced Uncirculated Coin Set are swinging up and down as apparent returns and cancellations outweigh new orders. 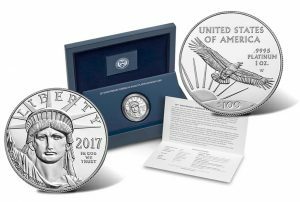 US Mint Sales: 2017 Proof Platinum Eagle Nearing Sellout? The United States Mint saw increased buying activity last week, according to the latest sales report which shows 215 of 292 products outperforming their prior weekly gains. 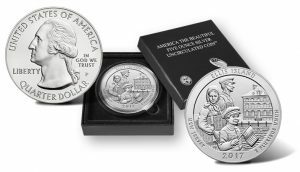 New sales figures from the United States Mint show that there’s not a lot of remaining 2017-S Enhanced Uncirculated Coin Sets. 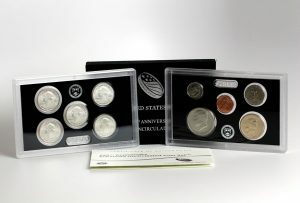 Sales reopened early morning Thursday for the 225th Anniversary 2017-S Enhanced Uncirculated Coin Set. For most of this month, watching the performance of the 20th anniversary 2017-W Proof American Platinum Eagle has been the highlight in weekly sales reports.